Biorase is a fast acting and effective cleaner designed to remove black spot algae and green algae. 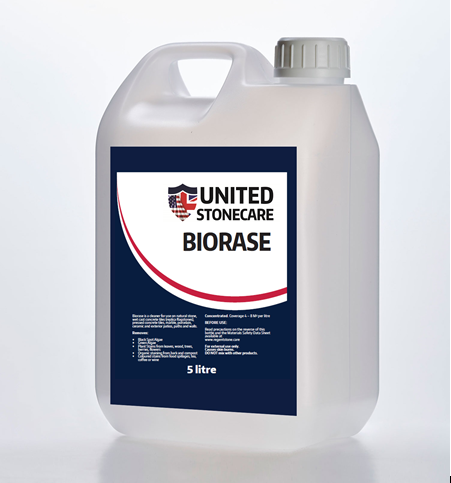 Biorase will also treat most organic, coloured food staining such as tea, wine, coffee, cola, iced lollies etc and is suitable for organic staining from birds, berries, leaves, trees, bark, wood, seed, pods and flowers. Biorase will NOT remove cement, grouting, paint, wood preservative stains, oil or mineral type contamination.